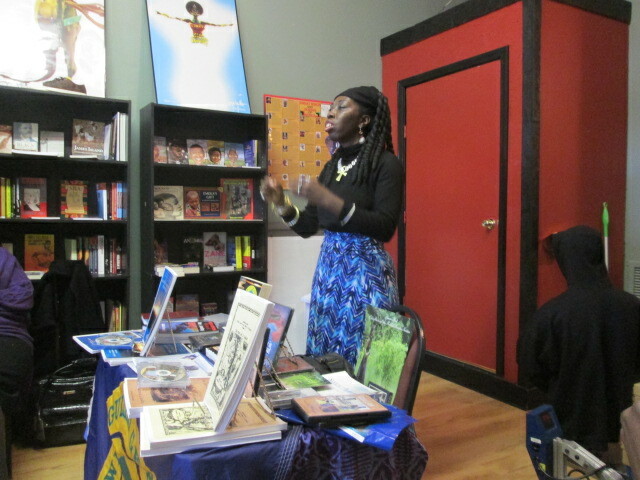 Queen Quet provided an overview of the history, heritage, and culture of the Gullah/Geechee Nation as well as a discussion of the current obstacles to and methods of exploitation of cultural heritage that are taking place. As the circle of discussion opened up to those that had gathered, they asked how to work together, why is there apathy and complacency in the community, what can be done to stop the gentrification, how to continue to educate young people about their culture so that they take pride in it, how to educate educators who are telling students that their language has not value and it is incorrect, how to get leaders to actually lead and not leave the community fending for themselves, etc. The dialogue continued for hours and Queen Quet had responses of action steps for each question that arose. 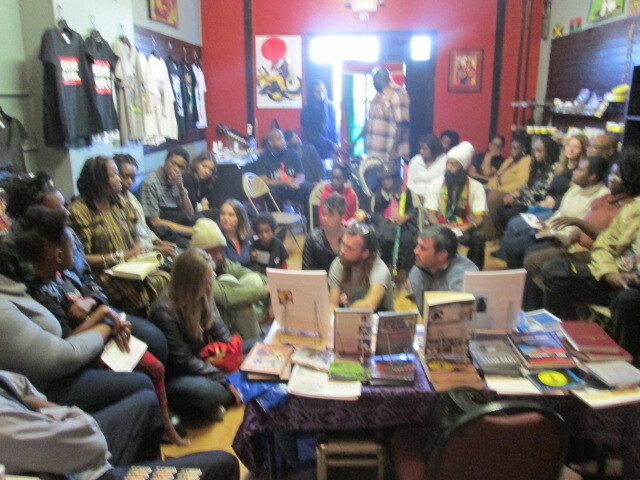 The event ended with people purchasing Queen Quet’s new anthology, “WEBE Gullah/Geechee: Cultural Capital & Collaboration Anthology” and “Gullah/Geechee: Africa’s Seeds in the Winds of the Diaspora: 365-366” to use as guide books to begin Gullah/Geechee study circles and to inform how they can and will engage in true collaboration in order to sustain the human and land rights of the Gullah/Geechees. Queen Quet charged them to leave the porch and to go out and expand the circle. Queen Quet is looking forward to building a larger porch and the circle getting bigger as she host the next one at the St. Helena Branch Library on historic St. Helena Island on Saturday, March 21, 2015 at Noon and the one after that at Respect for Life Bookstore in Brunswick, GA on Friday, April 3, 2015 at 6 pm. The Gullah/Geechee Porch Talks are FREE and open to the public. Books, CDs, DVDs, and other Gullah/Geechee items will be on sale. “De lunin wid we Gullah/Geechee famlee bin gwine on all de time pun de porch wid de eldas. E time fa we gwine bak dey and yeddi de trut togedda so we kin gwine fawad. Win hunnuh kno betta, hunnuh kin do betta!” said Queen Quet. She invites the entire Gullah/Geechee famlee fa gedda pun de porch! ← Gullah/Geechee ALERT! Stop Permits for Seismic Gun Activity Off Our Coast!